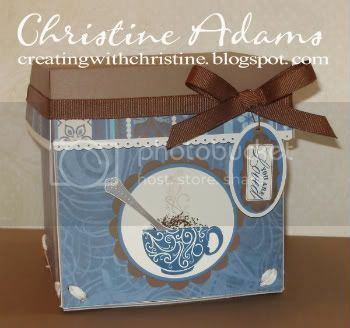 This month's workshop features our My Creations Cube and our delicious new Magnifique papers, along with two of my favorite new stamp sets - A Sip (love the cup!) and Unity (great for tags!). 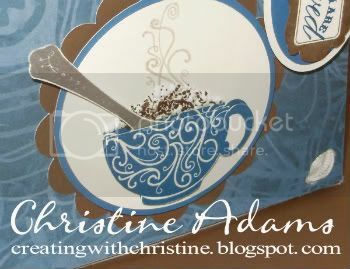 The coffee cup is layered with 3-D foam tape, a silver embossed spoon tucked inside and liquid applique with coffee grounds on top for the foam! 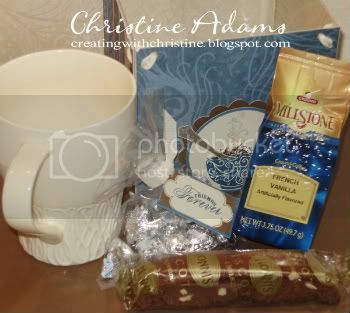 I included a coffee cup, vanilla coffee, kisses and chocolate biscotti inside mine! Mmmmm! 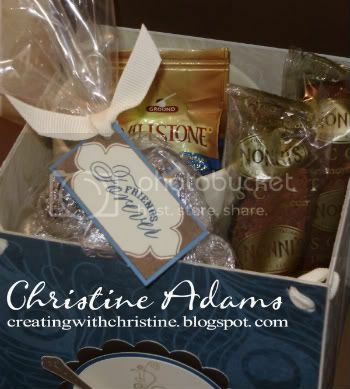 The workshop kit is $10 - that does not include the inside gift contents. 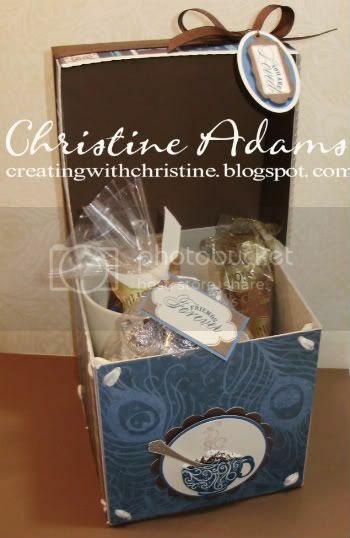 You can choose what to put inside your own box - maybe using a tea theme or cocoa & marshmallows or something all together different! Contact me to sign up for this workshop or to receive your kit by mail! Very sweet! 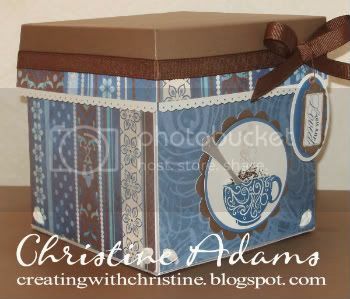 I just love the A Sip stamp set!